A new Army unit will help the service operate against enemies such as Russia and China on a daily basis but will do so below the level of conflict. In addition, the new group could help set the stage for more traditional kinetic battles. The Intelligence, Information, Cyber, Electronic Warfare and Space detachment (I2CEWS) — a battalion sized unit described as the “brain” of the Army’s multidomain task force — will integrate all the capabilities within its namesake under a single formation. The Army is moving out on establishing new cyber and information related units. Previously, officials described the I2CEWS as teams that would focus on a specific geographic region, either in the Pacific or Europe, and would take on different forms based on their area of emphasis. The United States typically has not operated in this so-called competition phase, but actions by Russia and China have forced military leaders, and by extension Army leaders, to rethink their approach. In order to be successful in the future against near peer adversaries, the U.S. must contest opponents in the competition phase below the threshold of armed conflict. “Probably the most strategically challenging [part] for the United States in particular, but also western democracies, is this idea of leveraging the competition space,” Lt. Gen. Eric Wesley, director of the Army Futures Concept Center, said March 26 at the AUSA conference. Wesley said the Army is still working through several issues related to the new teams, including whether to increase cyber authorities at the operational and tactical level. “We believe that authorities, although well harnessed right now at senior levels, are going to have to migrate downward in order to employ multidomain operations,” he said. 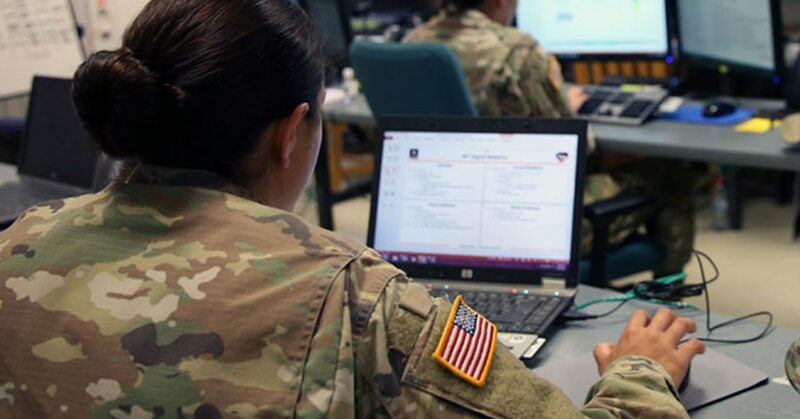 It is still not clear how the Army plans to work through the current setup that dictates how cyber capabilities are used. Today, those authorities are coordinated through U.S. Cyber Command at the joint level and executed through regionally focused Joint Force Headquarters-Cybers. Because the individual services do not own offensive cyber teams, tactical and operational commanders can only request help on the cyber front from their superiors. However, the Army is establishing smaller cyber and electronic warfare teams because at the tactical level, there is more latitude to conduct “offensive cyber” through the electromagnetic spectrum. Operations that require more IP based cyber activities are undertaken by the cyber teams that belong to Cyber Command. In some respects, the Army is recognizing that it doesn’t necessarily need all the capability organic to Army units. With new cyber and electromagnetic activities (CEMA) cells that will plan cyber and electronic warfare operations, staffs will have resident experts in these emerging areas. These planners “will know the right touchpoints to reach out for help, because you don’t necessarily have to own an effect to have an effect support your scheme of maneuver,” Maj. Gen. John Morrison, commander of the Cyber Center of Excellence, told Fifth Domain in a February interview. Moreover, Army leaders said the service needs to get better at knowing the right authorities and policy questions to ask in order to accelerate the approvals process. Wesley told reporters that the Army is taking liberties with authorities during exercises and has played out scenarios where authorities have been delegated down to the tactical level.